Do you like to shop online? Of course, i think all of you like to shop online. Online shopping is the easiest way for us to shop via internet. It's easy and you don't need EXTRA time for TRAFIC JAM in Indonesia especially in Jakarta =D. We can get the uniques items especially for fashion items with affordable prices, the fashion items that we can't get in your town, country (International online shopping) and store near you. Dskon.com offer you the best deals from group buying website the best service providers in Indonesia. It can be sorted according the city and category. Dskon.com is a complete online shop in one place. We can find the items we wanted with range price, discounts and promotions here and of course with the safe method and trusted sellers since there are so many untrusted people out there and we will become paranoid. If you click "REVIEW", there is explanation about the store, how to pay, range product, how to refund the product, etc. You don't need to be scared to shop online because Dskon is the trusted group buying website. 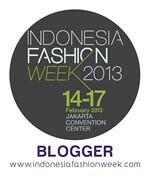 Beside that, we can read about tips and trends in fashion and even current world issues on their blog. Come and visit to Dskon and don't forget to get more discounts and promotions! Looks like a great and easy place to shop! Thanks for posting this.